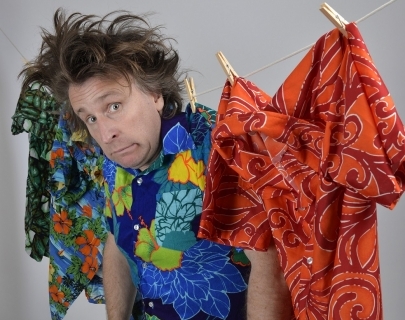 Milton Jones is Out There. No, really out there and this time he hasn’t just forgotten his keys. He’s holding up the mirror of truth to society, and he can see right through it, which means its probably just a window. In his brand new show he’ll be putting his foot down and lifting the lid on the pedal bin of lies of the media (which doesn’t include this press release obviously). He will also be scaling the heights of fashion at the risk of falling into a terrible cravat. Milton will be talking about his life so far – the ups, the downs and why buying his own see-saw was the best decision he ever made. But perhaps he should give all this up and seek the highest office in the land – but how do you get a desk and a swivel chair up a mountain? Oh and now he wants to be Prime Minister too. Can we do worse than the politicians we already have? Yes we can!